This Hollywood beauty is often spotted walking with her tiny Maltipoo dog. The young actress even took Penny to the shooting stage of her most recent films. Though Penny got used to be the owner’s one love, she had to change her habit. 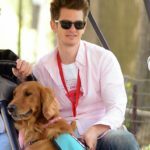 When Blake got married with Ryan Reynolds Penny got new neighbor in the form of Ryan’s own pet, Baxter. 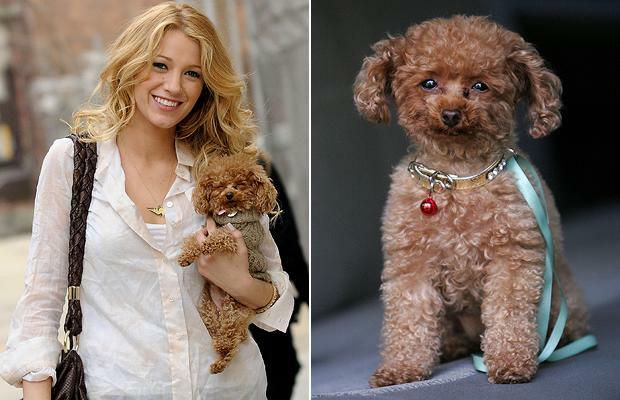 Having a tiny pup, Blake Lively gets on well with a big husband’s dog. She was even noticed taking a walk to Baxter. 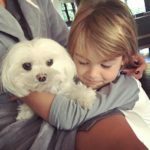 It seems that Blake has a role of a pet babysitter at home. When Ryan is working, she takes care of both pets. There is no doubt that the actress treats her own puppy and the new addition like real family members. Their relationships look so warm that the common photos touch the heart. They can be surely called a family of pet lovers. The couple admitted that their pets co-exist perfectly together despite their differences. 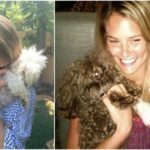 This bright Hollywood marriage doesn’t want to miss any moment with their animals, so they take them everywhere. Blake Lively and Ryan Reynolds both are very busy. Actually, they are probably on the top of their acting careers. But, it doesn’t restrain them to enjoy happy common life together. Though, the couple doesn’t have children yet, they have cute pets to make their life brighter. Hopefully, it won’t take long to see the new addition to this gorgeous family. Owning such wonderful and beloved creatures, they have great opportunity to train themselves in the role of parents. Judging from the photos, they will look great with their own children.